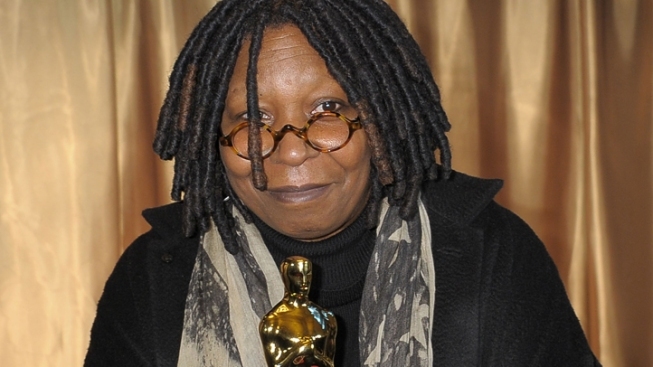 Whoopi is judging the Tribeca Film Festival. Michael Cera and Whoopi Goldberg are among the 38 jurors for the 10th annual Tribeca Film Festival. Tribeca announced its jurors Monday, two days before the New York festival opens. Goldberg and Cera are among the jurors for the world documentary competition. Director David Gordon Green, "Saturday Night Live" player Jason Sudeikis and actress Dianne Wiest are among those overseeing the world narrative competition. In the emerging narrative competition, the jurors are Paul Dano, Anna Kendrick, Zoe Kazan, Rainn Wilson and Atom Egoyan. Participating as jurors for the shorts program are David O. Russell, Denis Leary, Nora Ephron, Fran Lebowitz, Paul Schneider, Patrick Wilson and Wikipedia co-founcer Jimmy Wales. VIEW THE PHOTOS: Star Power Shines At ELLE's Women In Hollywood 2010! VIEW THE PHOTOS: Scenes From Comic-Con 2010: Day 2!